Like all shows, we have an official photographer. Only the official photographer is permitted to take “win” photos. No one is permitted to take “win” photos over the shoulder of the official photographer. If you are an amateur photographer, you are welcome to bring your camera and photograph this event. You are always welcome to take photographs of your own dog, provided you are not interfering with the official photographer. You may not use flash. If you sell your photographs, you are not considered an amateur photographer. If you have been hired by an individual to take ring-side photographs of their dog(s), please alert a show committee member to this fact, and provide the name of your client. If you are shooting ring-side photos on “spec” (that is, taking unsolicited photographs of dogs that you will later offer for sale through your own website, Facebook, Smugmug etc.) you need express written permission of the show chair to do so. Whether or not written permission is granted will be based on various criteria, including but not limited to the agreement of the official photographer, and the payment of a vendor fee. Photographers not compliant with this policy will be asked to leave. 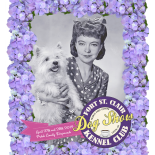 Photographs taken at our show and offered for sale without permission will be considered to be the property of Fort St. Clair Kennel Club, Inc.
No, we wouldn’t post their information in the area where we outline the policy for other photographers at our show. You have to go to the photographer’s website— and you can always find their info on any Premium List or catalog. Kurtis Photographers don’t send proofs, you find your photo online and if you’re happy with it, directly order what size and type of image you want. http://www.kurtisphotography.com Let us know if you need further assistance! All Photos from past shows are archived on our HD & backed up. You may contact us by phone 716 2851624, an answering machine will pick up if we are not in the office or via e mail at kurtisphot@aol.com.